Springbok Casino is a favorite South African online casino. Players can wager and win large jackpots in SA Rand. 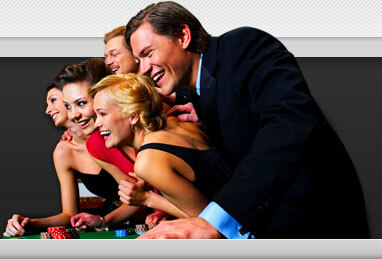 The portfolio of games includes table games, video poker, slots, and many more. Players can also enjoy top notch slots tournaments which becomes a social event. Springbok Casino proudly represents a unique South African touch by offering a premium, world-class online casino with over 200 games, bonuses and rewards. Featuring some of the best graphics and sound effects for a realistic casino atmosphere. Springbok Casino software is 100% safe; available as a free download and is compatible with any Windows based computer system. Customer Support operates around-the-clock ready to help players whenever they get stuck, stranded or sidelined! Use the Live Chat facility, Phone or email. 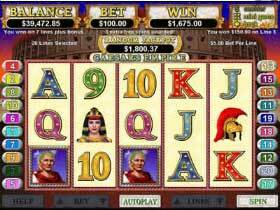 Caesars Empire Video Slot is one of the many slot games available at Springbok Casino. Caesar, Cleopatra, Roman Head Gear, a Shield, a Fruit Bowl and the symbols of high valued playing cards. The Caesar icon is the Wild and will show up on reels 1, 2, 3 and 4 during the base game. The Wild substitutes all other icons except for the Scatter, which is the Coliseum icon. The Wild icon will triple the prize when it helps form a winning combination. When you have one or more Caesar icons show up on the screen and the Coliseum icon on reel 5, then 10 Free Spins will be awarded. All prizes will be doubled during the Free Spins feature. All the Coliseum icons will change to Caesar or Cleopatra icons during the Free Spins feature and for every Caesar that shows up will award up to 5 extra Free Spins. No Deposit Bonus of R100 which can be claimed immediately after signing up. Visa | MasterCard | Neteller | Skrill | ECOPayz | Wire Transfer and Bitcoin. The vast choice of slots includes 3 Reel and 5 Reel slots, Bonus round and Progressives. Try one of the new games such as Football Frenzy or High Fashion. Bonus Bingo, and Scratch Cards.